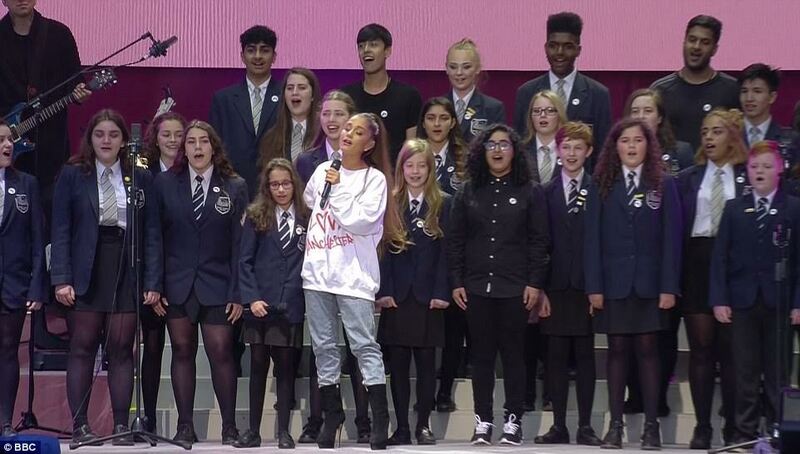 Ariana Grande along with other stars like Justin Bieber, Katy Perry, Coldplay, Pharrell Williams, the Black Eyed Peas, Miley Cyrus, Liam Gallagher, Robbie Williams, Little Mix and Niall Horan were at the We Love Manchester Concert to raise funds for victims of the Manchester Arena terror attack and it was a really emotional concert with lots of tears. 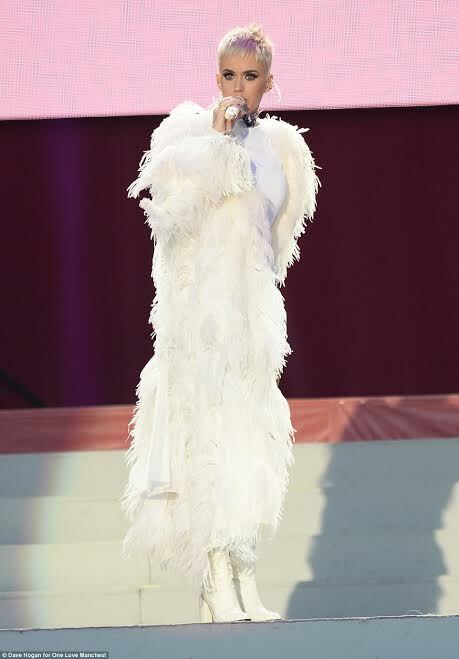 During her performance, the singer paid tribute to her fans who died on that fateful day, including Olivia Campbell, 15. 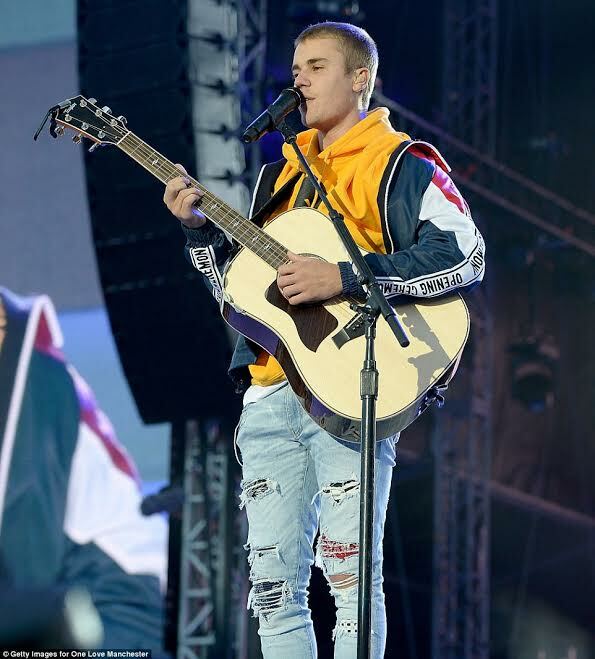 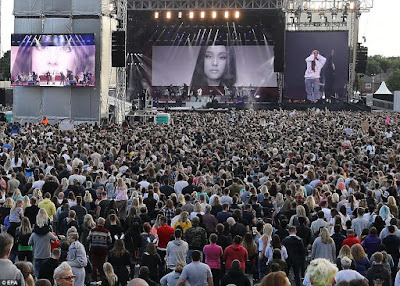 The concert venue was packed full with the crowd reportedly made up of over 50,000 people, most of them dressed in clothes emblazoned with the slogan, "We stand together". A minute's silence was held in memory of the dead before the stars took to the stage to give their performance. 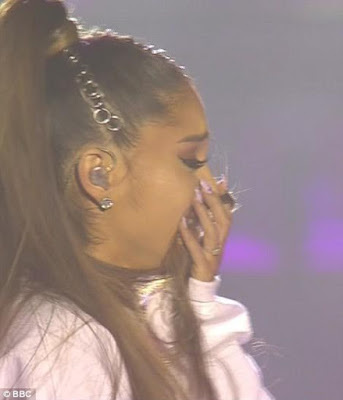 The stars tried to make it less of a sorrowful event but at some point during her performance, Ariana broke down in tears, taking most of the crowd with her, as she sang Somewhere Over The Rainbow. Ariana also played so many of her big hits, saying that she had not planned to but was encouraged after the mother of one of the victims, Olivia Campbell, told her that her daughter would have wanted to hear the hits. 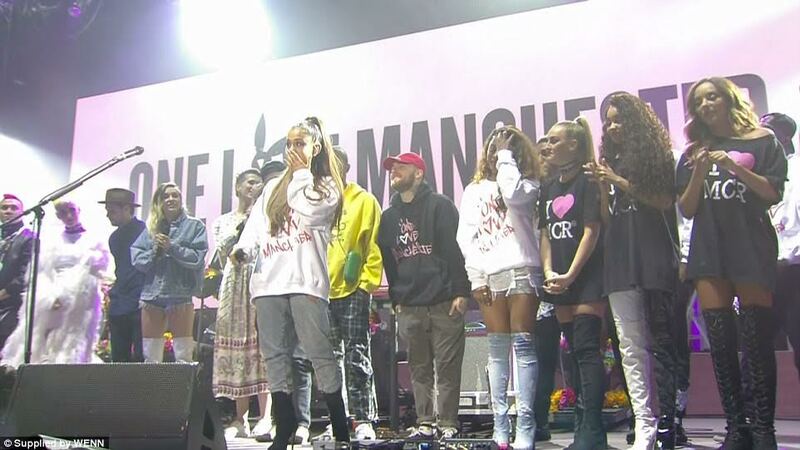 "I want to thank you so much for coming tonight and being so happy and strong and unified. I love you guys so much. 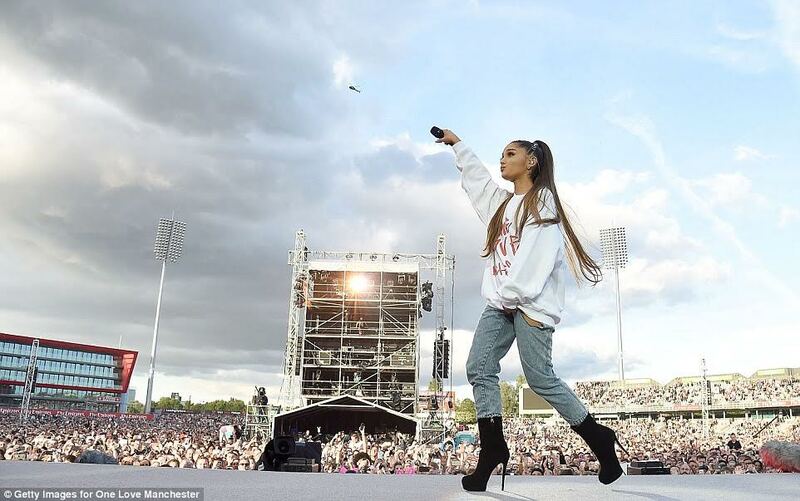 This night is the kind of thing the world really needs right now." 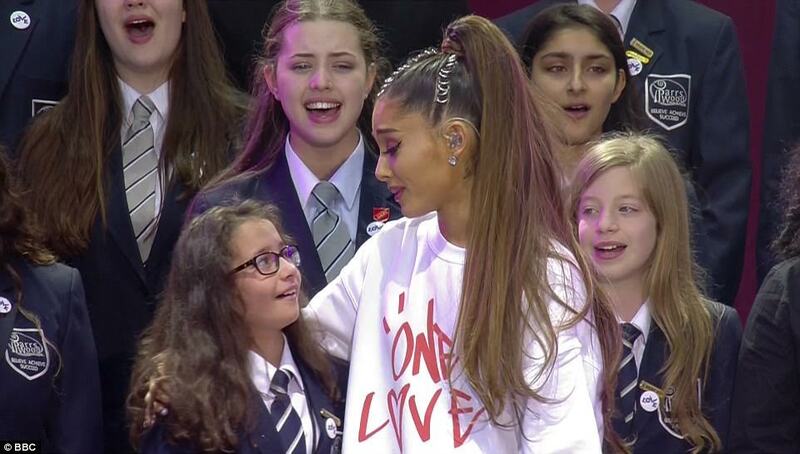 "I had the pleasure of meeting Olivia's mummy a few days ago and I started to cry and gave her a big hug and she said 'stop crying because Olivia wouldn't have wanted you to cry'. And then she told me Olivia would have wanted to hear the hits. 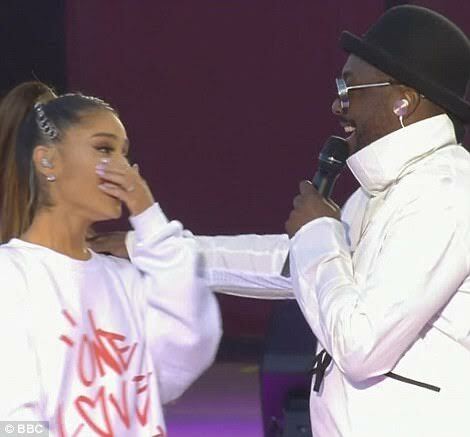 We had a different show planned and we had a rehearsal yesterday and we changed everything."